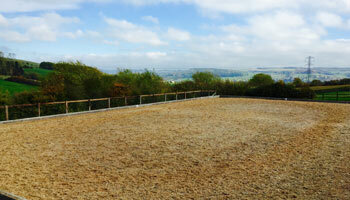 We are a small training outfit based on Cleeve Hill at Dryfield Farm. Our yard is equipped for both National Hunt and Flat racing. We are pursuing both so we can offer a comprehensive service for horseracing. 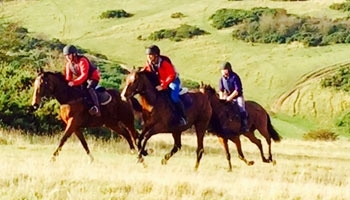 We have extensive grass gallops, 2000 acres of hacking with an assortment of jumps and natural obstacles which enable horses to be free thinking, intelligent jumping athletes. The gentle topography of the Cotswolds in their natural state, encourages horses to become more educated, balanced and physically more conditioned to the rigours of horseracing. This allows us to offer a service, which produces a more rounded complete horseracing athlete. The extent of the grass gallops on Cleeve Hill is incredible. 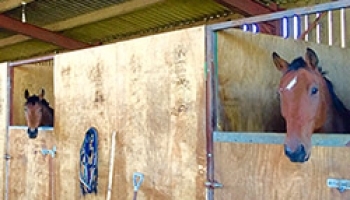 Horses we train can work in so many different areas and ways that they are always fresh and enthusiastic. This is because there is no need for constant repetition of the same form of exercise/training. This Common land has been “old turf” for over 1000yrs as documented in both the Doomsday Book and The Anglo Saxon Chronicles. The Cotswolds are based on Oolitic Limestone which creates a calcareous environment perfect for training racehorses; the same type of grassland as Newmarket, Lambourn etc. We have numerous grass gallops at our disposal; a straight mile, three loop gallops of varying sizes and more hills/banks for work than you can imagine. We have an all weather school for flat work, pole work and jumping, provided by Leisure Ride. We have recently acquired a three-berth set of starting stalls. This allows us to offer a complete horseracing facility from yearling onwards. 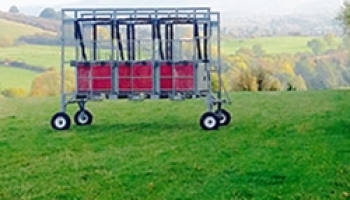 We have a set of hurdles and fences, which have been constructed with the assistance of Cheltenham Racecourse. 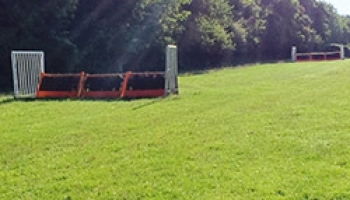 Each of the schooling fences are situated on a gentle slope encouraging good jumping technique whilst minimising the risk of injury. Our stables are large and very well ventilated. They are set within a barn with a high roof. 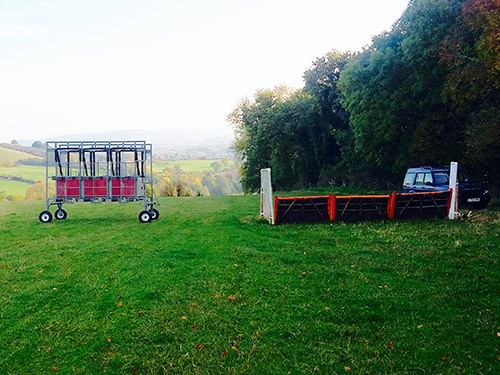 The location of the stables also facilitates great aeration because the farm is near to the highest point of the Cotswolds; the highest point in Gloucestershire.